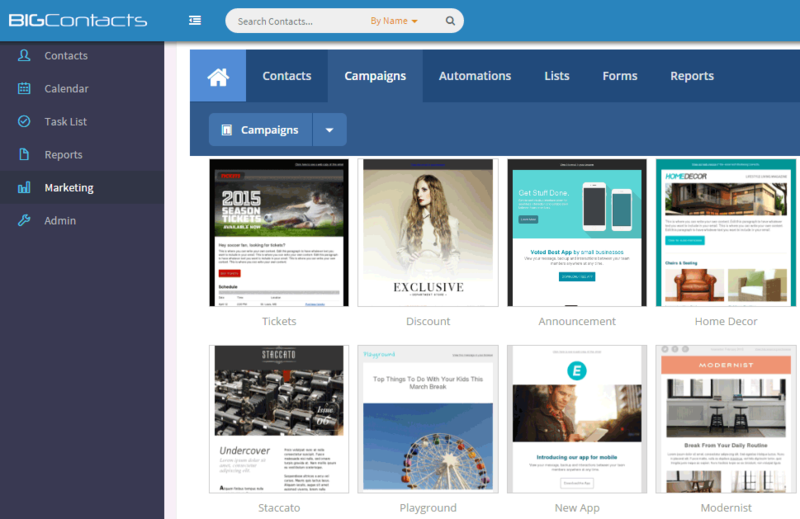 The BIGContacts Marketing module that we offer right inside your account goes well beyond you typical email marketing program. We offer marketing campaigns with added intelligence! 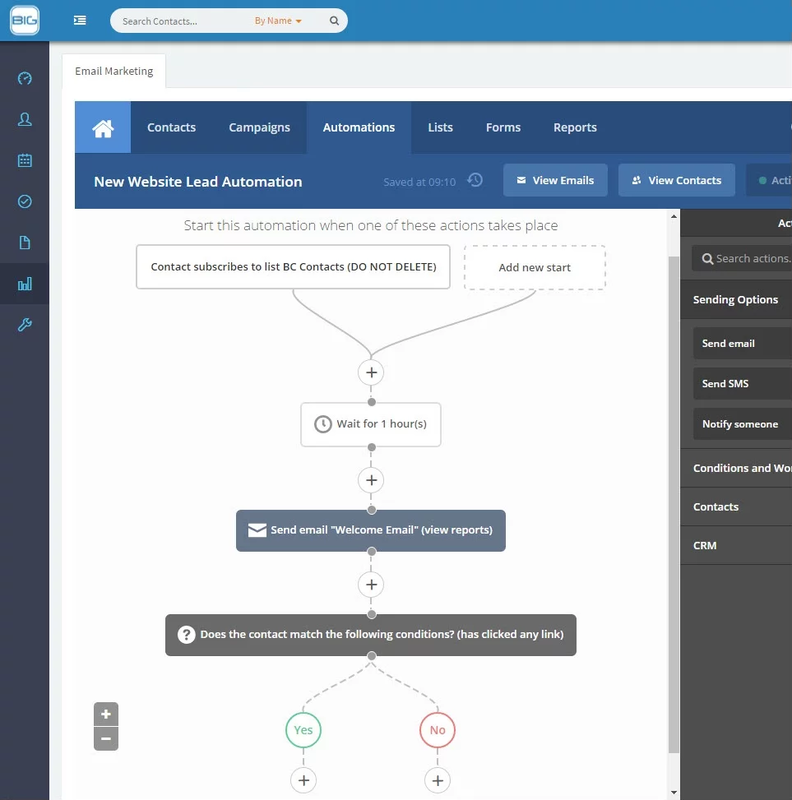 Set campaigns to automatically adjust based on whether a contact clicks on a certain link in an email, replied previously or entered a new stage of the sales cycle. All of this is easily customized by you. You will never have to manually upload or clean up a list again! 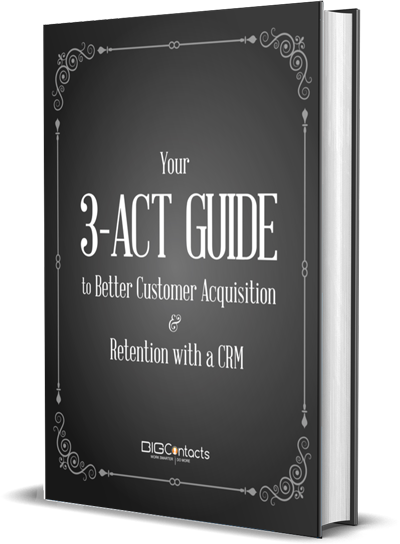 You have to see it for yourself to believe how much this will help you in your marketing and customer retention efforts. 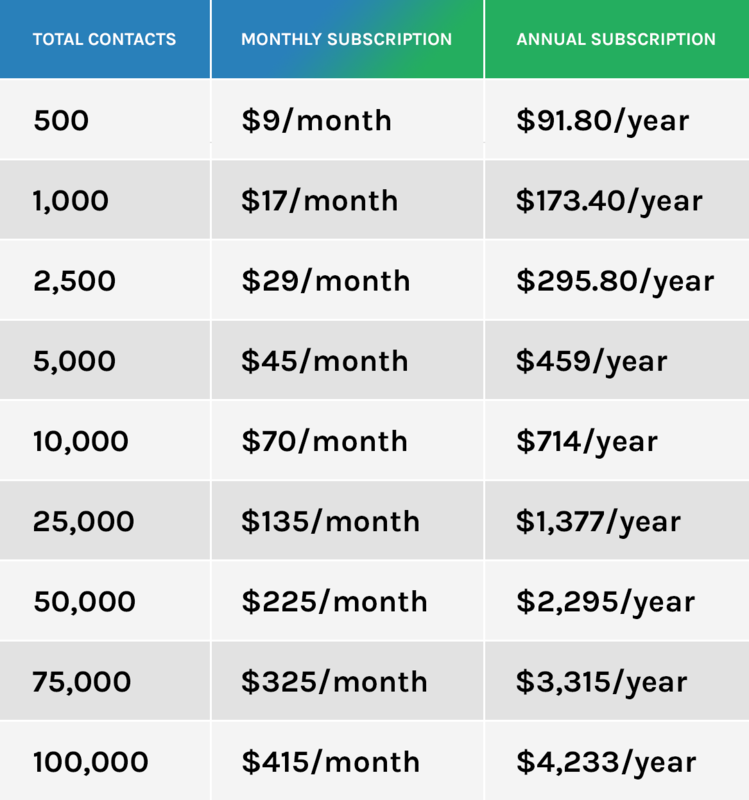 What Does it Cost for Optional Email Marketing Services? Access a full library of professionally designed email templates or create your own from scratch. It’s completely up to you! 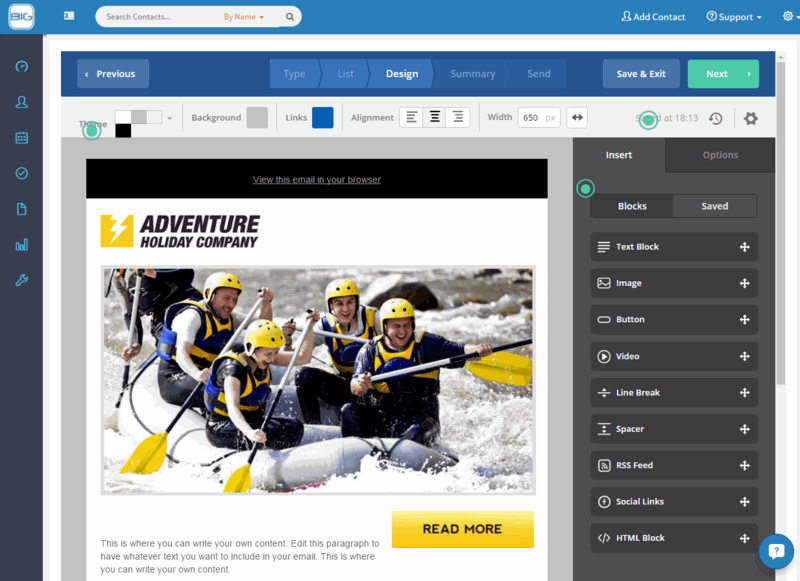 An easy-to-use drag and drop email designer allows you to add content and create design without having to use a code editor. Adding new content is just a click away. 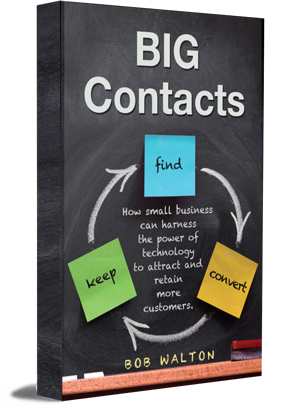 BIGContacts also connects with services such as YouTube, Vimeo, Shopify and even an RSS feed—allowing you to engage with your contacts in a variety of ways. 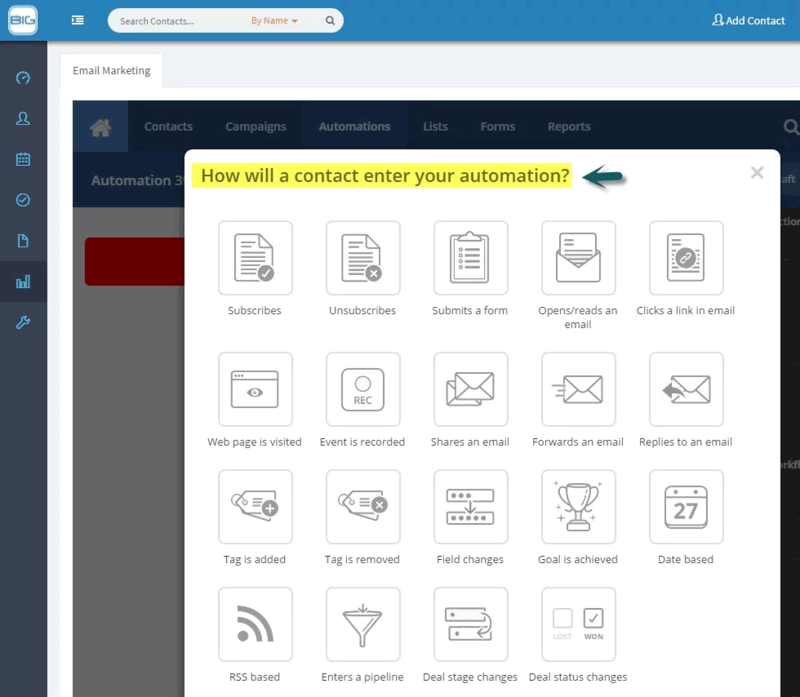 Create automations (sequences of actions and/or emails) based on contact and behavioral data. Trigger follow up emails based on contacts’ actions, interests, or behaviors on your site. In addition to the fully-integrated Email Marketing Module that you’ll find right inside your BIGContacts account, we offer automated two-way contact synchronization with many popular Email Marketing platforms through a partnership we have with a company called PieSync. PieSync offers two-synchronization platform that will enable two-way synchronization between BIGContacts and a growing marketplace of other web applications.